Or as low as $44.16 per month over 12 months. Apply Now. 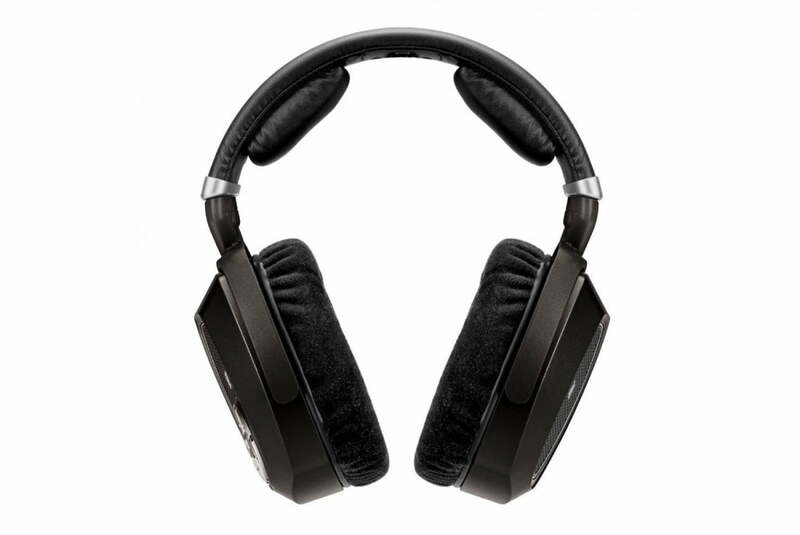 The Sennheiser HDR 185 is an extra headset for the Sennheiser RS 185 wireless headphone system and lets two people enjoy the same show or movie. Buttons on the right earcup let you enhance soundtracks by choosing from balance controls that allow for convenient adjustments. Sennheiser’s wireless link technology gives you a listening range of up to 328 feet, and you can pair two headsets to the transmitter at once. Serious about listening to music, but don’t want to wake the neighbors or stay stuck next to your stereo? The Sennheiser HDR 185 wireless headphones give you a high-fidelity listening experience with the freedom to move around. The RS 185 transmitter plugs directly into your stereo’s analog or optical digital output, and sends high-quality, uncompressed audio signals wirelessly to the Sennheiser HDR 185 headset. Roam freely wearing the Sennheiser HDR 185 over-the-ear headphones. Their open-back design gives you a clear, natural-sounding listening experience. Manual level and balance controls let you dial in your personal settings. And while the Sennheiser HDR 185 headphones were made with music in mind, you’ll hear movies and TV shows with clarity and wireless convenience too. You can head to the fridge without missing a beat of music. 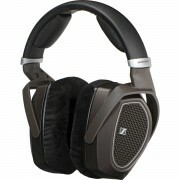 Sennheiser’s wireless link technology gives you a listening range of up to 328 feet. The Sennheiser HDR 185 headset and RS 185 transmitter are paired at the factory, so there’s no need to do it yourself. The headphones are powered by “AAA” rechargeable batteries (included). With the batteries inserted, just hang the headphones atop the transmitter and charging will automatically begin. You’ll get up to 18 hours of use with a full charge. Comfort is important when choosing any headphones, but especially those used for extended listening sessions. The Sennheiser HDR 185 headset features thick but lightweight padding on the headband and soft earcups, so you can enjoy its detailed sound for long periods. If you need to adjust the volume, don’t worry — you won’t need to get up or mess with a remote. There are built-in volume buttons on the right earcup, along with balance and level controls.